In fact, when ranking fruit in terms of nutrient adequacy and nutrient density, kiwifruit and avocados consistently rank as two of the most nutrient-rich fruit available. They are unassuming on the outside but nutrition powerhouses on the inside, delivering a myriad of vitamins, minerals, dietary fibre and a variety of other phytonutrients that act as antioxidants to keep us in good health. Kiwifruit is relatively low in kilojoules and contain enzymes which help digestion, while avocados are full of healthy monosaturated fats and are great for heart health. 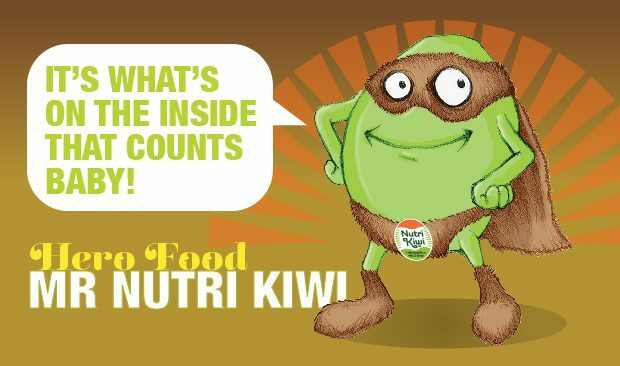 Besides all of that, these gorgeous green NutriKiwi fruit taste delicious and can make you feel healthy simply by eating them!